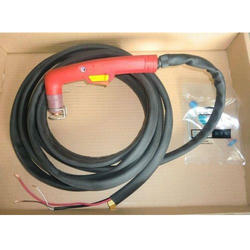 Trafimet Plasma Torch parts,Trafimet Plasma Spares,Trafimet Plasma cutting Torch. Guranteed Best Offer in bulk order. With our expertise in these domain, we are able to offer our esteemed clients a quality range of Trafimet Plasma Torch Parts S45. Designed keeping in mind the requirements of the customers. The offered product is manufactured using premium quality materials. Customers can avail these product in any length as per their requirements. Our organization is counted among the most reliable manufacturer of Trafimet Plasma Consumables. Made as per the industrial norms, we have well tested each of our consignment of these torches before the final dispatch. Customers can easily avail it from us at comprehensive prices. Our organization has been regarded as a coveted manufacturer and supplier of this high quality Koike Plasma Consumables. This consumable range can be availed from us at the most comprehensive and market leading price range. 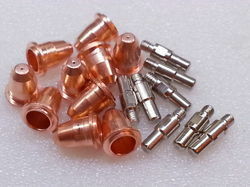 Made from the most high quality copper grades, this part is completely compatible with all the major types of plasma torches. 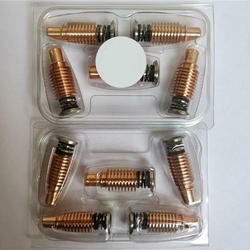 Trafimet Plasma Consumables,Trafimet plasma spares,Trafimet S45 Plasma Torch,Trafimet S45 torch spares. We are one of the coveted manufacturers and suppliers of a wide range of Plasma Consumables Trafimet A151. This offered plasma torch parts range has been offered to the customers at the most comprehensive and market leading price range. We have stringently kept all the industrial specifications in mind while manufacturing this range. Our firm is widely appreciated in the markets for offering to our customers a wide and sprawling range of Trafimet Plasma Consumables A80 and 81. 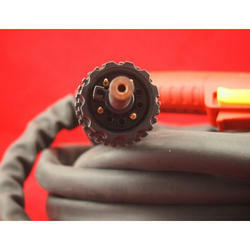 The offered range is extensively used in plasma torches and has been made from the most high grade material. Customers can easily avail this range from us in a wide variety of specifications and as per the predefined standards of the industry. We are offering this range at the most comprehensive and market leading price range. Trafimet Plasma consumables S45, A101, A141, A151. 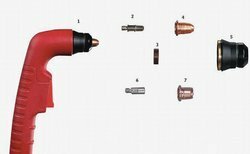 S45 Plasma cutting Torches,S45 Plasma consumables. 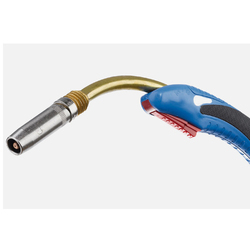 We have manufactured this high quality industrial standard Trafimet S45 Plasma Torch. Easy to operate, this machine gives consistent performance and has been widely favored for its fine metal sheet cutting. The offered machine has been given a special portability feature in order to make it easy for the user to perform the work. It is high efficiency and energy saving that helps lower running costs with distortion free cutting. 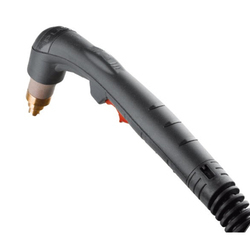 We bring forth to our coveted customers this high quality range of Trafimet A90 Plasma Torch. Customers can easily avail this range from us at the most comprehensive and market leading price range. The offered machine has been widely demanded in major industries for its optimum cutting technology. Owing to our industrial expertise, we are able to put forth this high quality Trafimet Plasma Consumables A101. Basically is is used to maintain the stability and reliability in the industry grade console and multiply optical and electronic insulation device. This particular range is used in a wide variety of cutting applications of various kinds of metals be it steel or copper. Irrespective of the thickness of these metals, this cutter performs with sheer clear cutting edge. 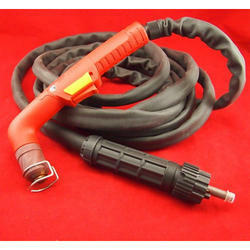 We are known in the industry as the leading manufacturer and supplier of Trafimet A141 Plasma Torch. It is widely used in the process of cutting steel as well as other metals of vivid thickness. The torch uses a plasma torch for doing so. The offered machine range has been widely appreciated in the markets for the optimum quality of it. Customers can avail it from us at the most comprehensive and market leading price range. Looking for Trafimet Plasma Consumables ?